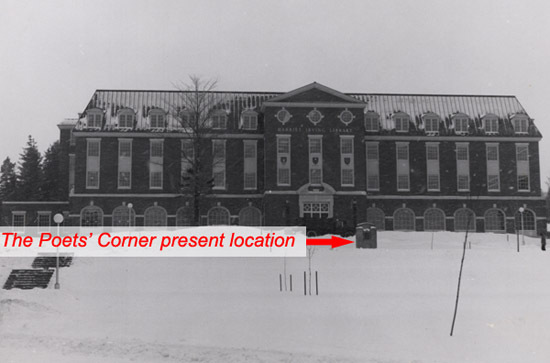 The memorial was originally located on the hill below Sir Howard Douglas Hall on the Fredericton Campus of the University of New Brunswick. In the 1970s it was moved to the area in front of the Harriet Irving Library known as Jacob's Yard, named for Edwin Jacob, the University's second President (1829-1850). 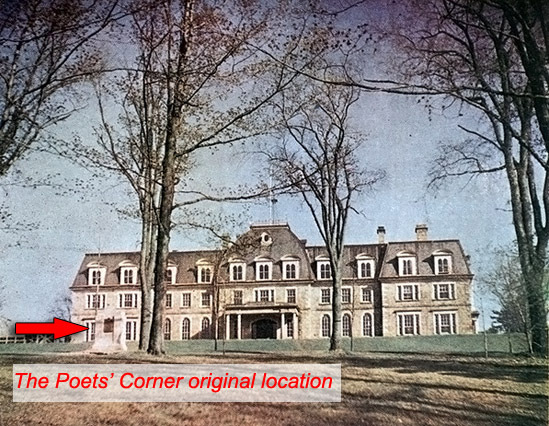 The Poets' Corner hasn't found its final resting place yet. In 2001 plans to redesign Jacob's Yard were revealed that included the relocation of the monument "21 feet closer to the Harriet Irving Library". 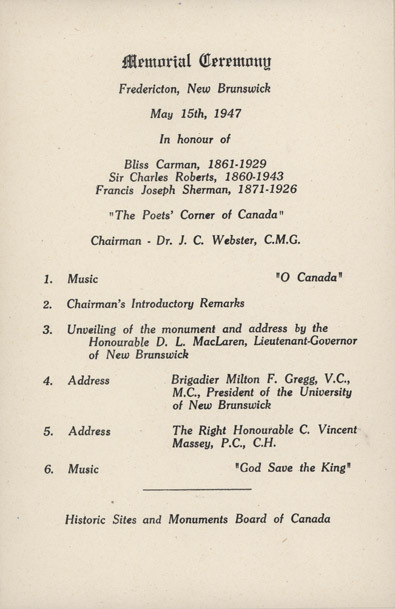 The wording engraved on the bronze plaque affixed to the monument read, in part: "Born in or near Fredericton. Educated in this University, and buried in the cemetery of Forest Hill. 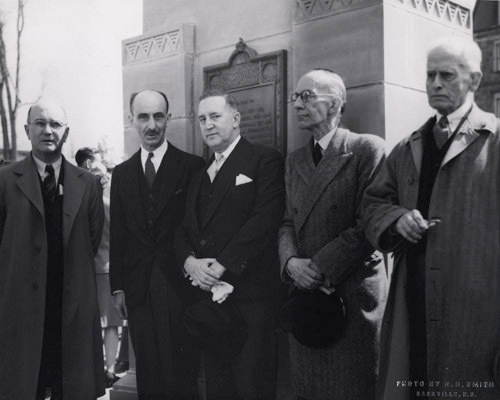 Their gifts of verse enriched Canadian literature and gained for their common birthplace the designation - 'The Poets' Corner of Canada.'" 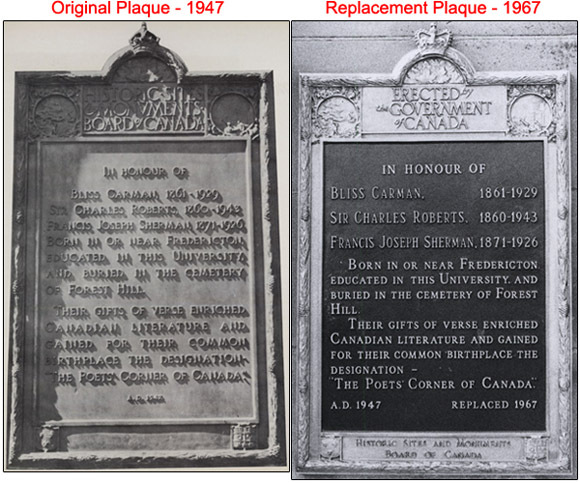 The original plaque was replaced with a newly designed one in 1967. Plans are currently underway to have the monument fitted with a bilingual plaque.